Mazda is one of a few automakers without any grandiose plans for autonomous cars quite yet, but the company recently commissioned a study to better understand how drivers feel about them. It found more than two-thirds have no interest in letting an autonomous car drive them around. Score another point for the driving-focused automaker. The study jibes with other research conducted over the past year, and points to a sharp disparity between public acceptance of autonomous cars—at least for now—and the automakers who want to shape the industry’s future around them. Ultimately, that could change when more self-driving cars hit the road, but for now, it’s evident that automakers have a lot of work to do. The research, carried out by Ipsos Mori, revealed that a staggering 71 percent of people surveyed would still want to drive, while only 29 percent would actively welcome the arrival of autonomous vehicles. 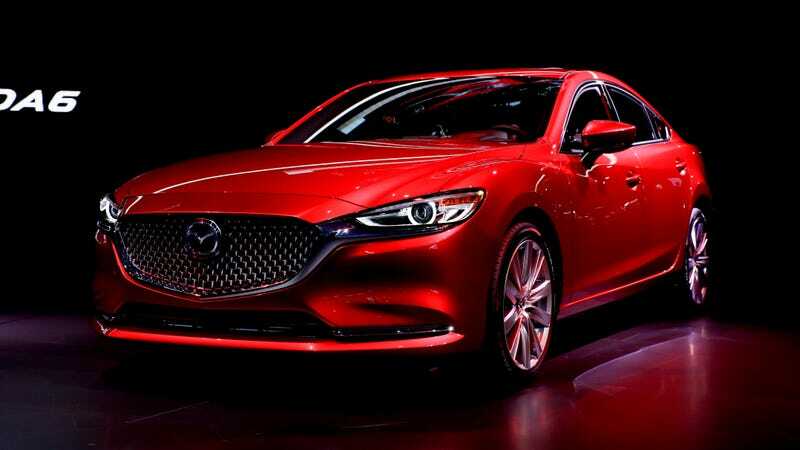 The research – which was commissioned as part of Mazda’s Drive Together campaign – polled 11,008 adults across the company’s key European markets, including 1,002 people in the UK. It revealed that on average, two-thirds of those surveyed would want to keep on driving even if self-driving technology was available. Surprisingly, young people surveyed were no more welcoming of autonomous cars, with 18-24 year olds (33 percent) no more likely to welcome self-driving cars than 25-34 year olds (36 percent) or 35-44 year olds (34 percent). It’s unclear how much “young people” made up the entire pool of adults who were surveyed, but that’s certainly a notable bullet-point that stands out here. Mazda’s conclusion from the research is that autonomous tech should serve as more of a “co-pilot,” Motor1 reports, and keeps the human in command at all times. This runs completely against the grain of most automakers who tout autonomy as the way forward. But it’s clear that drivers—for the most part—aren’t interested in relinquishing control to an automated system just yet.